This spring engagement session in Old Town was a lot of fun with E&E. They were happy to be spending time together and the weather was fantastic. During engagement sessions, I like to walk around so that we can find unique places with great light and backdrops. I think it's important not to get into too much of a routine with engagement portraits, because I want every session to reflect the couple and be spontaneous. Usually a one-hour engagement session is perfect, as it allows us some time to wander and get great images in one general location. However, some clients prefer a two hour session so that they can change outfits and potentially go to a couple of different locations for variety. After the engagement session, it usually takes a couple of weeks for me to edit the images and get them online for you. Once they're ready, you'll be able to download them, share them with friends and family, and post them to social media. 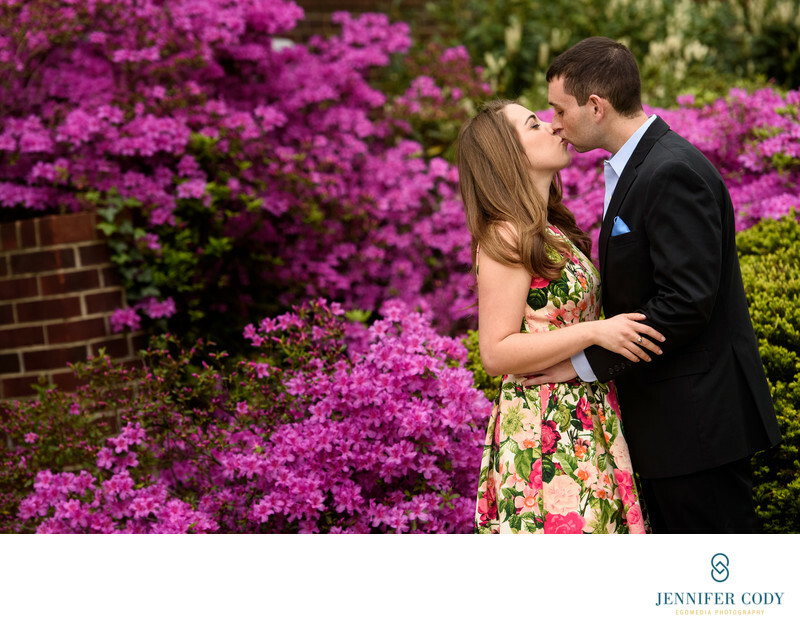 There are many great locations around DC for engagement sessions. The monuments are a great backdrop for pictures. Usually timing varies by time of year, but typically 2-3 hours before sunset is a great time for your session. Location: 800 St. Asaph Street, Alexandria, VA 22314.